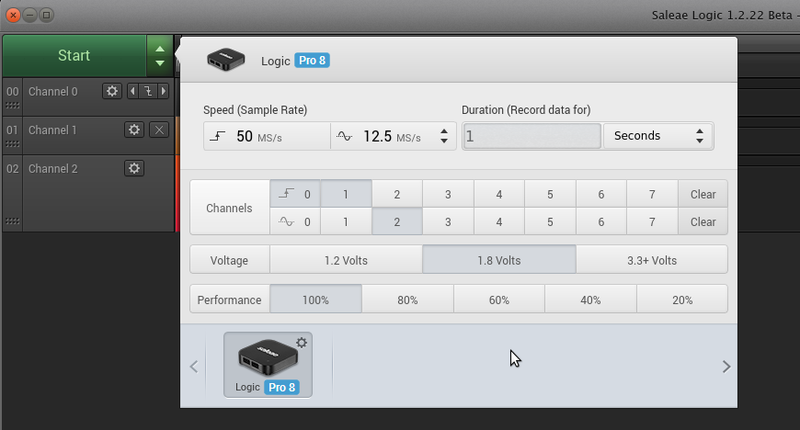 Saleae, the manufacturer of logic analyzers, released a new beta version of PC software for showing of data waveforms. The big advantage of this program is real-time showing of data - from digital inputs. 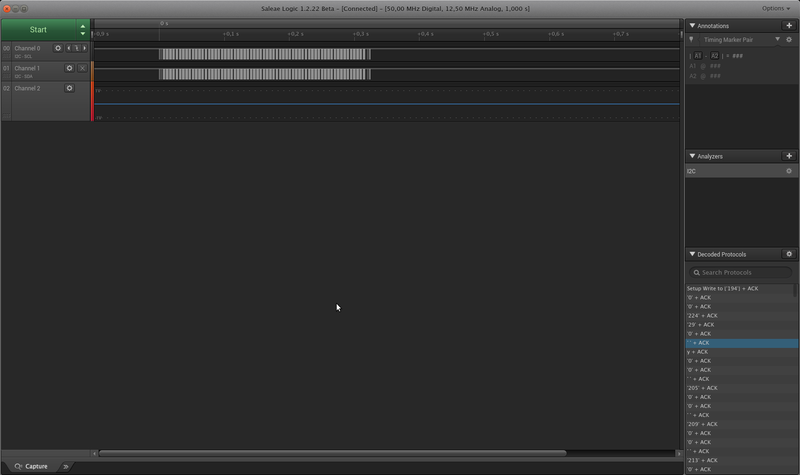 In case that your logic analyzer includes analog inputs, the Saleae software shows also this analog waveform. The short list of original and clone logic analyzers is here. The Saleae software includes decoder of communication buses like USB, I2C, SPI, CAN, JTAG and more. Here is settings of device, you can set what digital and analog inputs will be available and also sample rate of digital and analog part. If you have chinese clone of logic analyzer, the menu contains only sample rate. 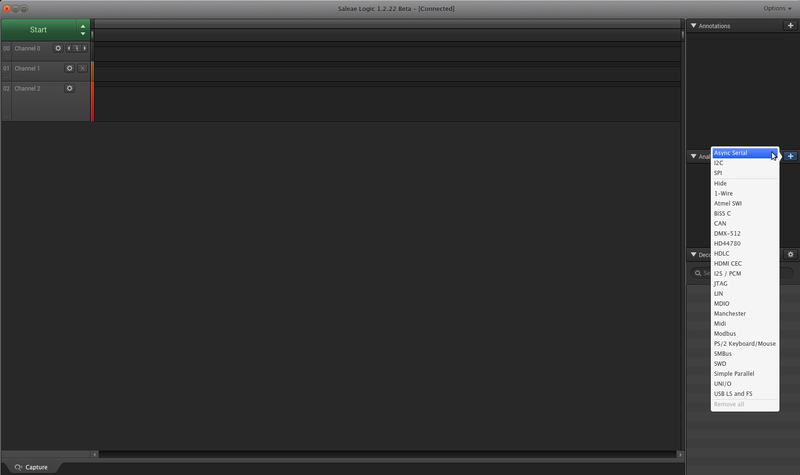 Screenshot of Saleae software. The decoding of bus is on the right bottom corner. Real-time showing data waveforms. It is also working for chinese clones.